Over the past two weeks or so we’ve seen some good coverage of the talks in Paris that have set the objectives for carbon reduction across 97% of the world’s population (and 94% of all emissions). In fact, the UK have covered the talks extensively in mainstream media. We don’t have time for 90 minutes, you’re going to have to play faster, harder but over 60 instead. If you’re an established World Cup qualifier from the ‘developed world’ you’re going to have to do even better just to qualify because you’ve had it good for far, far too long. Show some leadership on this Germany, UK, France. Developing nations – we know we make it tough for you to qualify, so we’re going to relax things a little for you, but if you fail, we all fail. So don’t get complacent. You still need to improve, score goals and up your game. The good news is – to win you still need to play well and score goals. There are many ways in which you might achieve this but we’ll be asking to see your tactics every five years and we’ll decide whether we think they’re good enough. But, unless everyone plays well and scores lots of goals the World Cup will fail. Success is dependent on everyone winning – not just a few of you. Even then, there are many who have questioned whether the talks have created a contract strong enough to avoid dangerous climate change beyond the 2 degree increase. That’s where my analogy ends. But other commentators have been superb in unpicking the nuances of the agreement. Several, unsurprisingly, recognise that deal doesn’t go far enough. They are not applauding the efforts of the bureaucrats and diplomats who fought their corner and, to be fair in many cases, championed the commitment of their nations. They are identifying that the deal wont avoid that 2 degree increase. It wont avoid devastating climate change that will follow it. They are pointing out that there is a very real risk that these wont be achieved and that it’s all very well having clear rules and objectives – what we need now is compliance and for those nations to play the game as it is intended. At the Paris climate summit, delegates have struck an agreement that calls for the world to “hold the increase in the global average temperature to well below 2℃ above pre-industrial levels and to pursue efforts to limit the temperature increase to 1.5℃”. 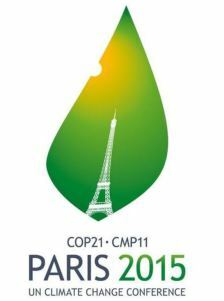 But the climate action pledges made by 185 countries ahead of the summit don’t add up to 1.5℃ or warming or even 2℃. Taken together, they add up to a 2.7℃ world. As the negotiations go on, 2015 is about to set a new global temperature record, and is likely to have reached 1℃ warming already. (Read the full article here). I wonder how many of the delegates in Paris realise that they have just created the mother of all “take-back schemes”. As a consumer, you may have already come across this sort of deal: if you don’t want to dispose of the packaging of your new sofa, you can take it back to IKEA and it’s their problem. In many places, you can even take back the sofa itself when your kids have wrecked it. For the Paris climate deal to succeed something similar will have to happen, where companies that rely on fossil fuels will be obliged to “take back” their emissions. I remain optimistic. For the first time since Kyoto it feels like the World’s Leaders get it … but leaving behind their own short term political time horizons and their nation’s own self-interest means there is a very real danger the objectives wont materialise. It’s likely that it will be those in the poorest of nations who will suffer the consequences of failure first, deepest and longest. They may never recover from a failure to deliver these targets. The involvement of businesses in these talks has been scrutinised. This is complex, but there are companies out there – micro to global – with the solutions to these challenges. Their involvement has been to illustrate how a low carbon revolution is good for society, good for the planet and can deliver sustainable economics. It’s this argument that stands between Paris being a success or being considered a two week jamboree of hot air. A solid, unwavering commitment to low carbon policies that encourage investment in new technologies that harness the energy of the sun, the wind, the waves, the tides is central to this. A commitment to leaving as much coal, gas and oil in the ground as is possible is necessary. Holding politicians to account is important. They’ve signed up to this because, in the UK at least, it’s something voters believe is important. The UK government has been warned that a major U-turn in energy policy is required if it is to avoid charges of blatant hypocrisy following the commitments it made in the Paris climate deal this weekend. Critics say that the first test for Amber Rudd, the energy and climate change secretary, will come later this week, when she announces whether or not she plans to go ahead with a proposed 90% cut in solar subsidies. Carolyn Fairbairn, director-general of the Confederation of British Industry, the UK’s main employers’ organisation, demanded on Sunday that ministers take action at home as well as making their voice heard abroad. “The government must provide a stable environment that enables investment in cleaner, more affordable and more secure energy generation, including renewable technologies and new gas plants,” she said. The negotiators have done their bit. The deal is drafted and there is a contract of commitment in place. The politicians have signed it off and now need to deliver. Fortunately, business sees the opportunity this challenge presents. It’s a huge, trillion $ opportunity. But we cannot rely on politicians and business alone. If we do, we’ll likely end up 20 years on without having made the necessary cuts in emissions we need. We all need to contribute – that means taking individual action too. This brilliant piece about home comforts and energy consumption by Katherine Ellsworth-Krebs says it eloquently. What characteristics would your ideal home have? A sauna? Lots of natural light? An open-plan kitchen? Whatever your answer, you probably didn’t consider how the things you wanted would affect the energy you use. The link between comfort and energy is not something that troubles most people, but actually it’s very important. In the UK, our houses consume up to 27% of the energy we produce. What a pity then, that the UK Government scrapped the introduction of the Zero Carbon Homes policy for 2016. It’s scrapped the Green Deal and has withdrawn millions of £ of funding to improve the existing stock’s energy efficiency. As Jeremy Leggett, the founder of world leading renewable energy company Solarcentury, spelled out: the challenge for Rudd and George Osborne, the latter being seen as the real axeman of green policies. “The government has a huge credibility problem, having signed a treaty of historic importance, and yet [having] been pursuing a path of [energy policy] travel that is 180 degrees opposed to what is needed,” he said. There was a great piece written and published in The Conversation today – How to ensure governments stick to their Paris climate commitments. But will countries stick to these pledges? And what happens if they don’t? Read the full piece by Peter Newell of The University of Sussex.